I just love these colours, they are so bright and cheerful! 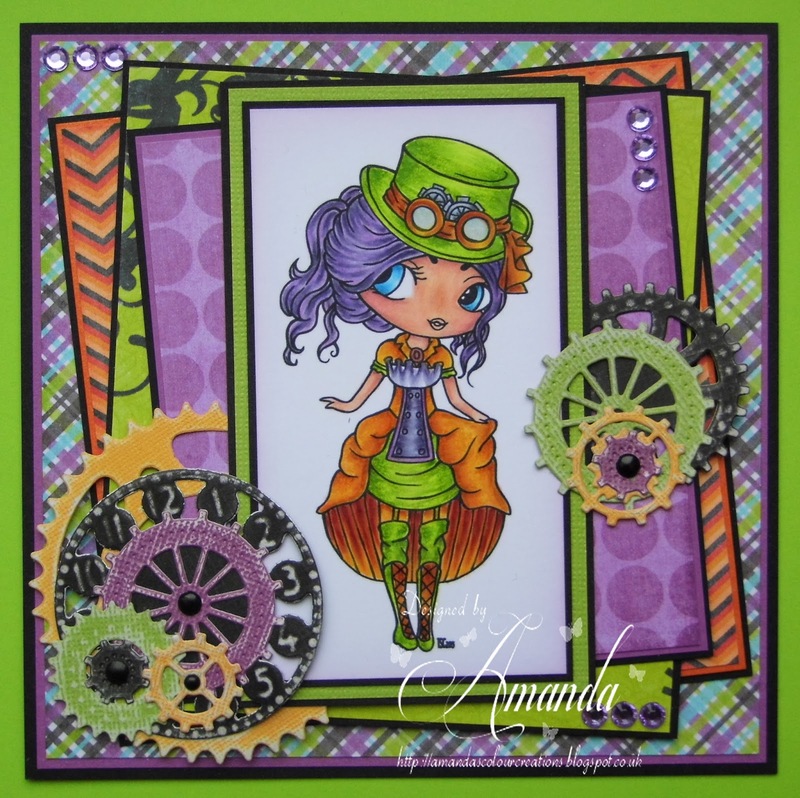 As always the theme is an easy one "Anything Goes"
Head over to the The Stamping Chef Blog to see what the rest of the Design Team have made. Hi Erin, you do make me giggle. I am no queen of layouts lol and as for doing one for a challenge for you all I think I would be afraid to do one. Just wow! I always love seeing your work! Lovely card. Awesome job. Thanks for playing at Glitter n Sparkle. Hope to see you next challenge. Good luck. Oh this is fantastic. Love all the colors and the image. Thanks for joining us at Tuesday Throwdown Challenge. Beautifully colored project! Nicely organized and executed! Thanks for sharing this with us here at Through The Craft Room Door! This is surely 'n beautiful funky card. Love the colours and dies. Thank you for joining Glitter 'n Sparkle Challenge. I love the colors too! This is such fun and sassy card. So glad you joined us at Die Cut Divas. Only about 4 1/2 hours to go until our challenge ends.